Erdem Aydur, MD, is board certified in internal medicine with over 20 years of clinical experience. He received his medical degree from Hacettepe University of Medicine in Turkey and completed a residency in Turkey and at Wright State University in Ohio, where he was named Chief Resident. Dr. Aydur specializes in acute and chronic illness management, geriatric medicine, internal medicine, men’s and women’s health care, preventive medicine and minor injury care. 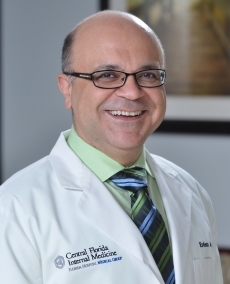 He is fluent in English and Turkish, and is an active member of the American College of Physicians and a professor of osteopathic medicine at a local university. Dr. Aydur's care philosophy revolves around treating one patient at a time! No matter how long it takes. Note:- The list below is for reference purposes only and is subject to change. Please check with your health plan to confirm that Erdem Aydur, MD is included before scheduling an appointment.